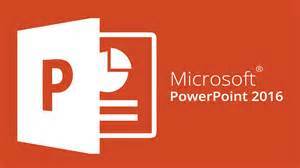 This course is intended for students who have little or no familiarity with Microsoft PowerPoint 2016, self-taught, learnt on the job or more experienced PowerPoint users who want to learn the topics covered in this course in the 2016 interface. Basic computer knowledge, such as keyboard and mouse skills. Basic file-management skills the student should know how to navigate to folders and files on a computer running Windows.